Blender is professional Open Source 3D modelling suit that's runs in Ubuntu (which also available for windows and Mac OSX). The Blender Foundation and online developer community release regular updates to Blender, ever increasing productivity and features. 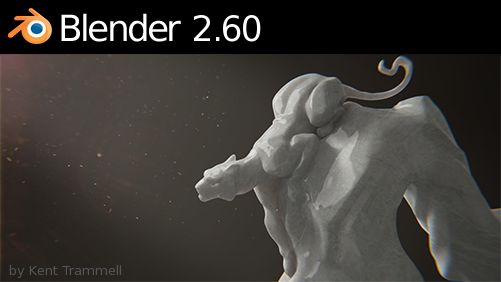 The Blender 2.6x Series has many improvements and new features along with a slick new User Interface. Lets have some Fun with Design! Blender 2.60 allow us to place speaker objects in the scene, make an animation and mix down to an audio file. Blender 2.60 Includes several changes to the graph editor, dopesheet editor, NLA editor, curves, drivers, constraints, and posing. To keep up-to-date Add the Blender ppa to your software sources in ubuntu. This will deliver stable ubdates to your installation so you are always running current Cutting edge Technology.